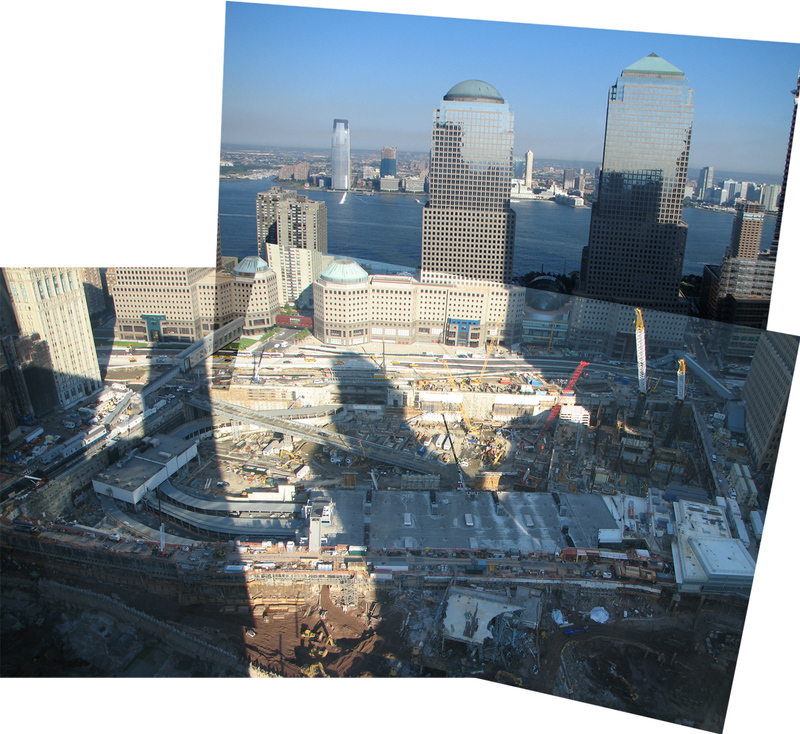 I was in NYC this week, and this was the view from my hotel room of Ground Zero (the World Trade Center location). Very busy! And noisy (especially at 7 am). Click on the photo to see it much bigger (it’s a composite, obviously, and not a terribly professional one, but you get the idea). Just thought it was interesting what a hive of activity it is compared to the last time I was there in February, although it still mostly looks like a big mess. The PATH trains to/from New Jersey have been running for a few years now, but the rest of it has mostly been silent and pretty empty. I guess the memorial site is well underway now!